25 years ago, the Pittsburgh Youth Philharmonic Orchestra grew out of a dream. A dream to educate young people for an ever-changing and evolving musical world. Every Saturday morning, young musicians come together from all over the Tri-State area to play music together. Not because they have to, but because they WANT to. These elementary through high school students from varying backgrounds and economic levels forge friendships through one common thread- music. Through our various levels of orchestras and bands, summer camps, chamber music and music festivals, PYPO offers different levels of instruction from beginners up through pre-collegiate. 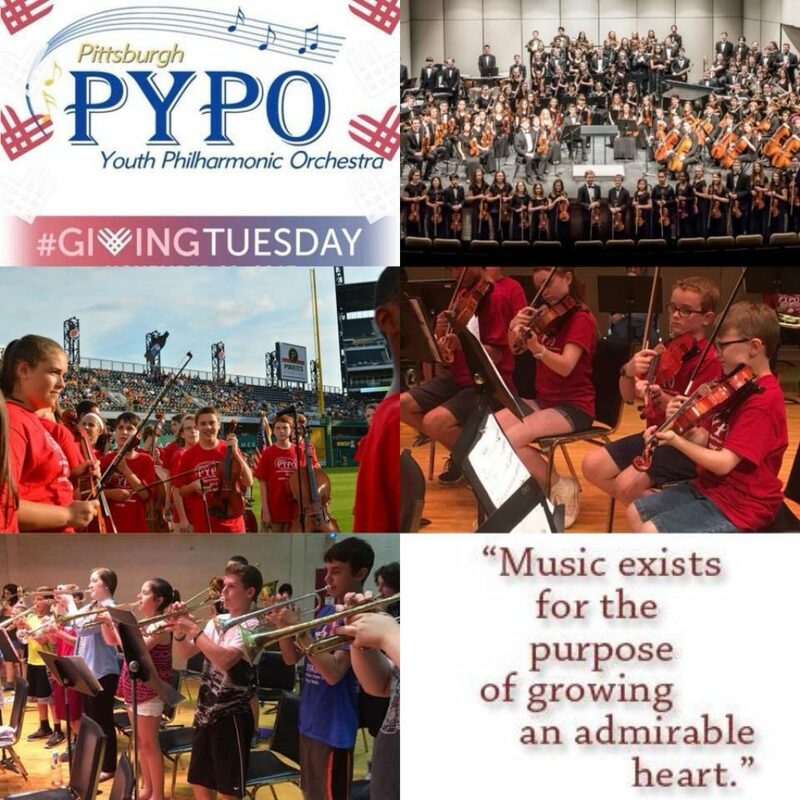 On this #GivingTuesday, please donate to PYPO. Your gift will help us to provide scholarships and financial assistance to students who would normally be unable to participate in our programs. Your gift will help us to continue our mission to educate young musicians not just for a musical career, but for a lifelong love of music. Larger gifts help to continue our mission and to help secure PYPO a permanent home.